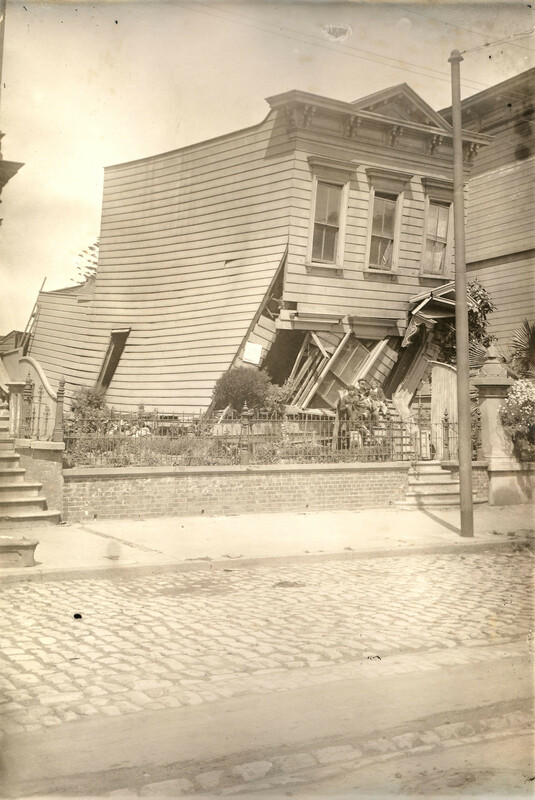 This photograph shows a house damaged and leaning to one side after the 1906 earthquake. Because of the unstable ground that parts of the city of San Francisco were built on, the earthquake caused permanent damage to a significant amount of structures. Over 28,000 buildings were lost due to this natural disaster.